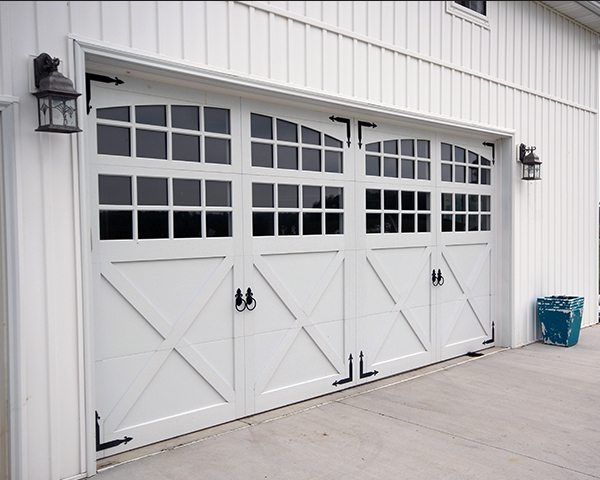 16x8 Overlay Carriage House Door w- 2 Rows of Windows. Top Row = 2 - 2pc Arch Stockton and Next Row = 2 - 2pc Stockton. Door includes Barcelona Hardware.